HackerRank, the skills-based recruiting platform and online coding challenge community, today announced that it has raised a $30 million Series C funding round led by JMI Equity, a fund that specializes in helping software companies scale. Existing investors Khosla Ventures, Battery Ventures, Randstad and Chartline Capital Partners also participated in this round. As HackerRank co-founder and CEO Vivek Ravisankar told me, the company now has over 3.4 million developers in its community, which has grown organically since the company’s launch in 2012. What’s maybe just as important, though, is that the service has also brought on a wide variety of companies to its HackerRank for Work program that are looking to use the services platform (and community) to recruit developers. According to Ravisankar, these customers include five of the top eight commercial banks, for example, as well as auto manufacturers, retailers and others. Ever company is now a software company, after all, and they are all looking for talent. With these customers, HackerRank was actually cash flow-positive for a part of 2017 and expects to return to that in the near future. 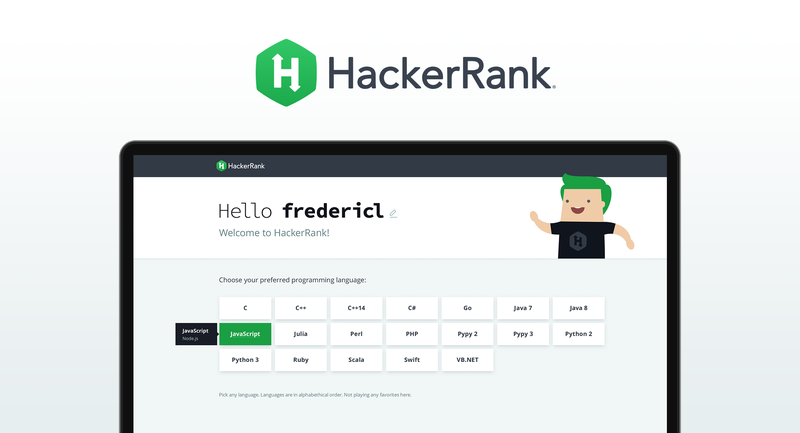 Over the course of the last year, HackerRank also expanded beyond core programming skills and adding support for other technical roles, including DevOps positions, database specialists and others. “To be frank, we didn’t think we needed $30 million,” Ravisankar told me, but JMI looked like a good match for HackerRank and this round, which brings the company’s total funding to $58.2 million to date, gives it a long runway to expand its product portfolio. Specifically, Ravisankar is focussing on three areas: doubling down on customer acquisition and HackerRank’s go-to-market strategy, investing more in its community, and using machine learning and data science to better match employer and job seekers. It’s this last part that’s probably the most interesting. HackerRank sits on a trove of data about what skills job seekers possess and which ones employers are looking for. “It’s very hard for a lot of companies to quantify what makes a great developer,” Ravisankar explained — and the same goes for developers who don’t always know what they are looking for. So at this point, the HackerRank team is trying to figure out how it can best use its data to say whether a developer is a good fit for a job. HackerRank currently has about 150 employees but this new round will allow it to hire a few more, too. Chances are, it’ll use its own platform to do so.